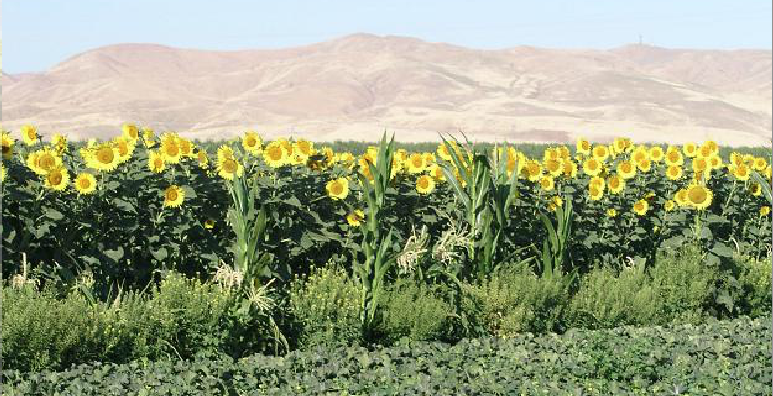 We plant hedgerows of sunflowers, corn, clover and other flowering plants between plantings of our organic melons. The hedgerow provides a habitat for beneficial insects that help control pests. The adults of many beneficial insects feed on nectar from flowers while their young, or larvae, are predaceous, feeding on pests such as aphids and caterpillars. Additionally, to help tip the balance in our favor, we purchase and release beneficial insects in our fields, including lady bugs, lacewings and parasitic wasps.